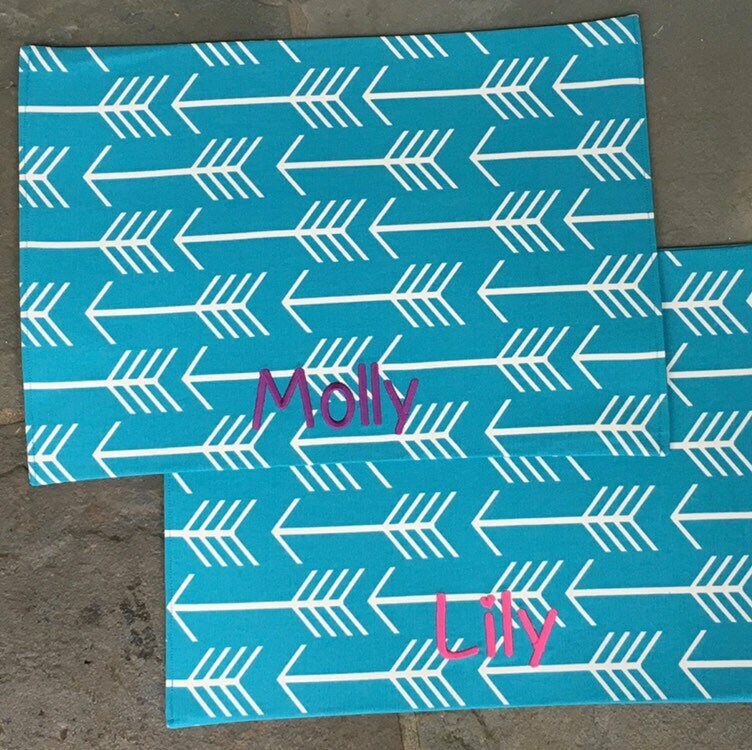 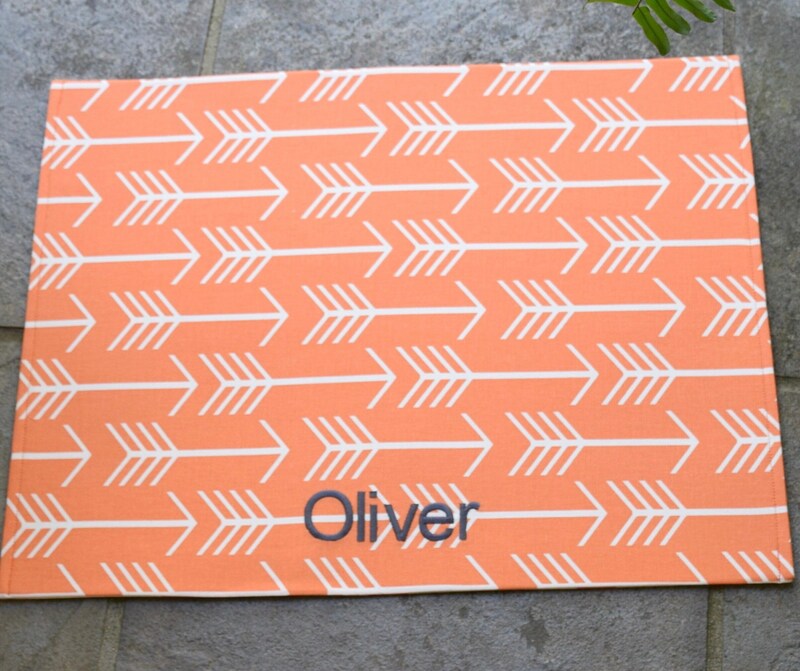 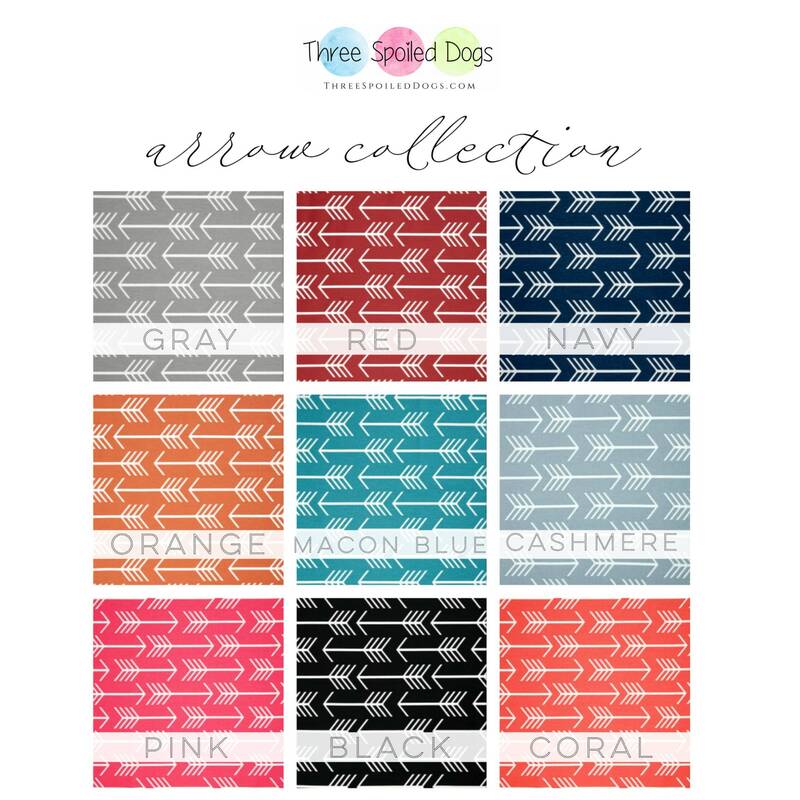 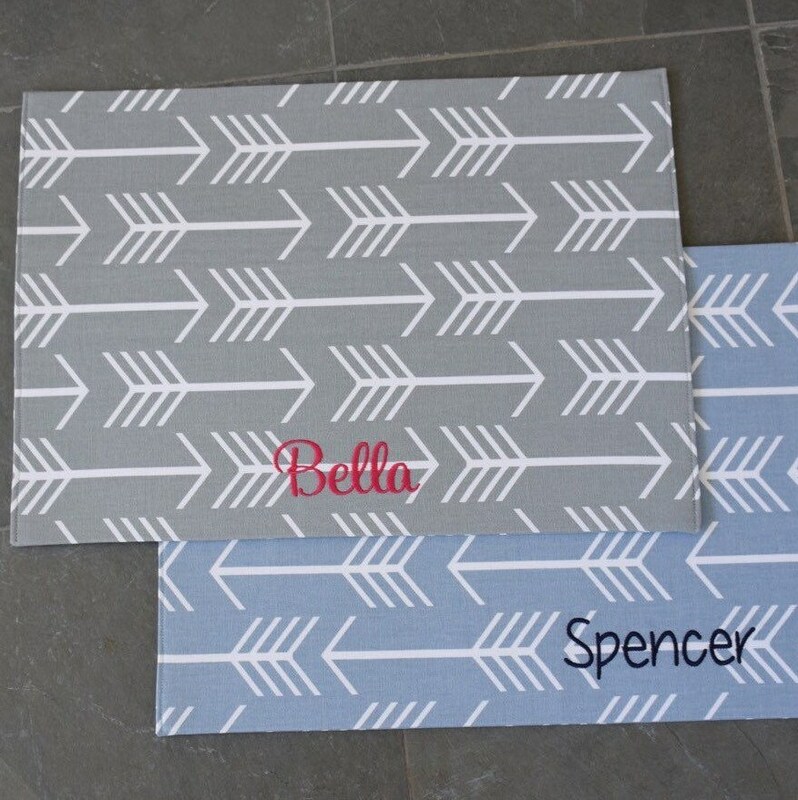 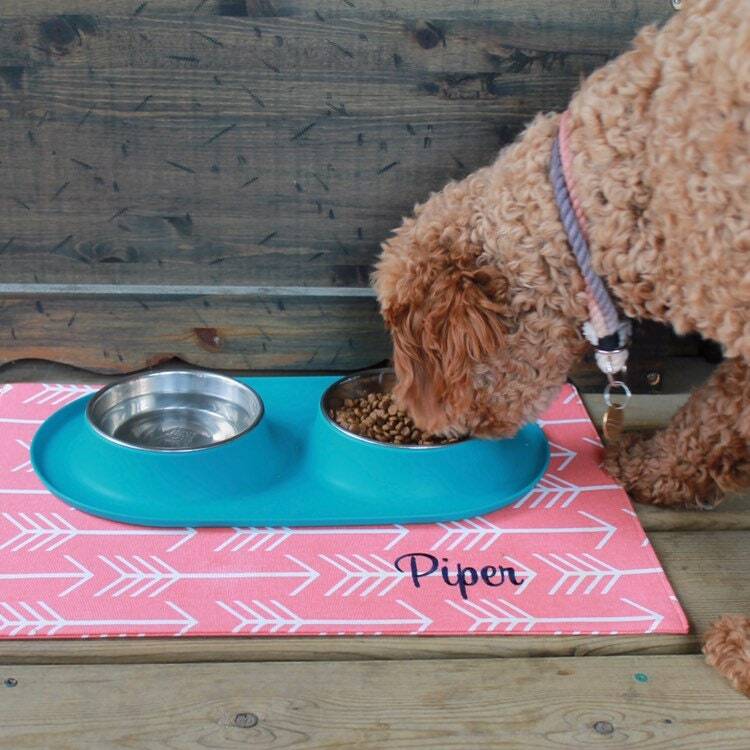 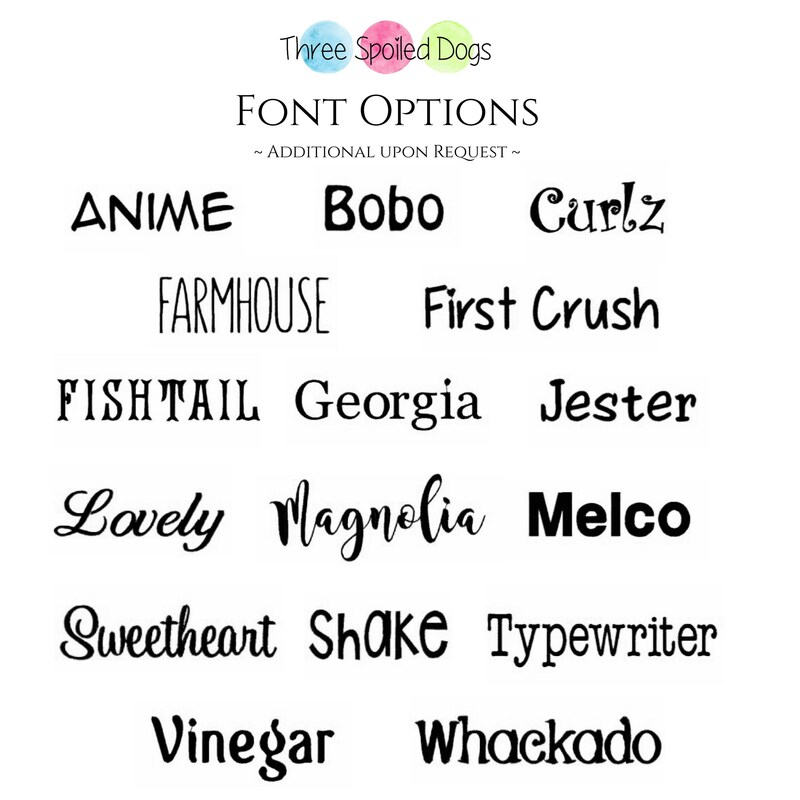 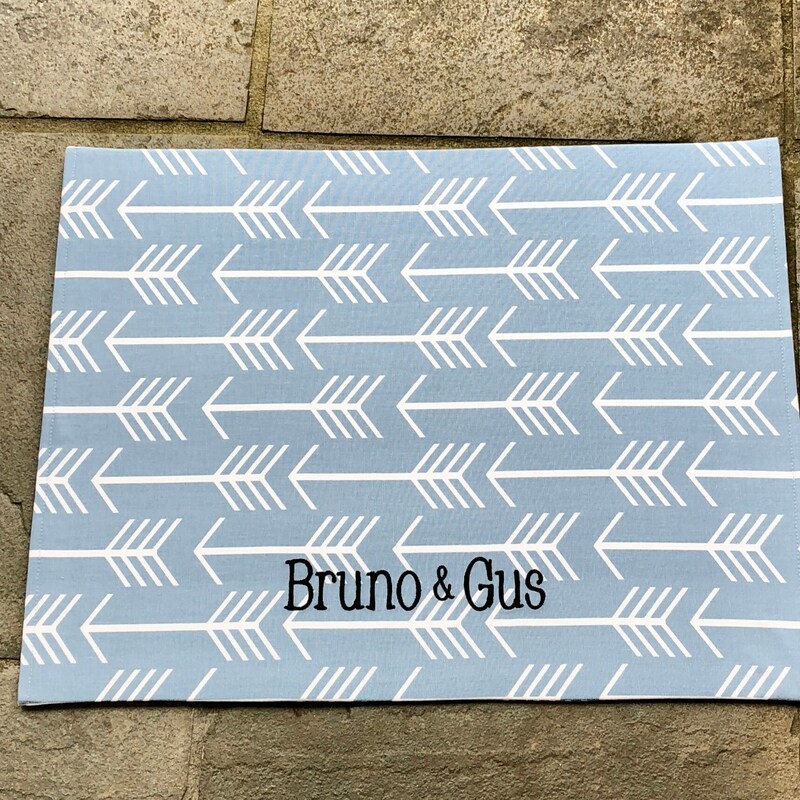 Personalized placemat for your pets Food + Water Dog Bowls help keep your floor clean, as well as add a splash of color and style where their water stays. 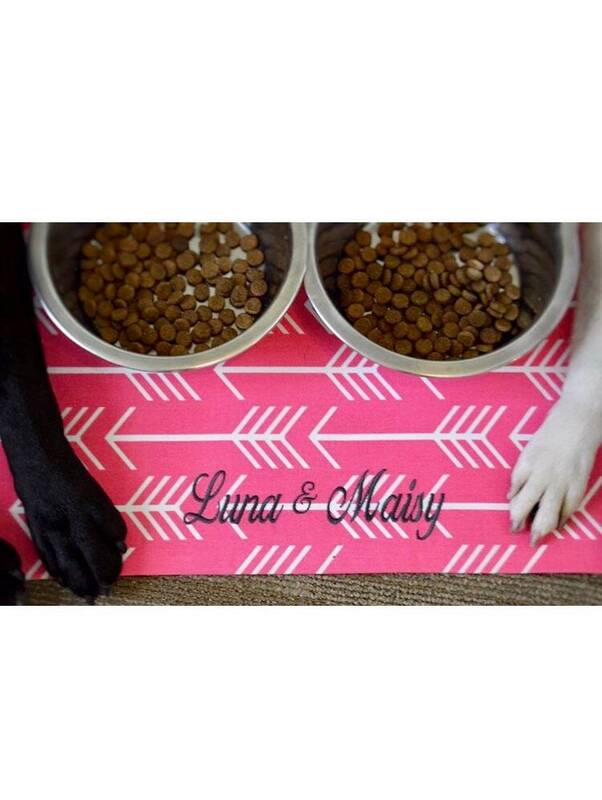 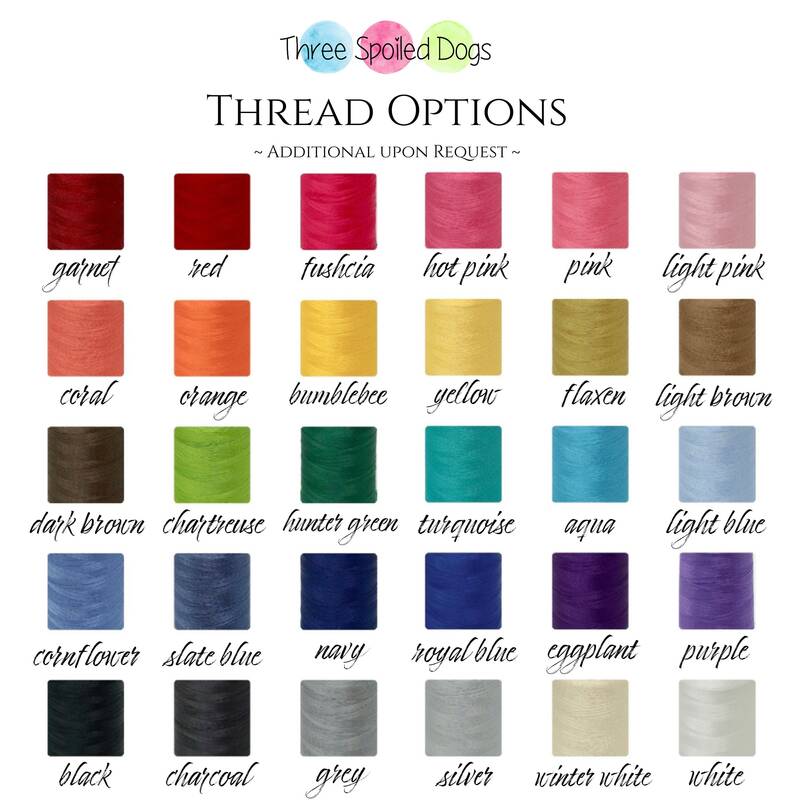 Our pup mats are lined with an ultra firm stabilizer for substance and durability. 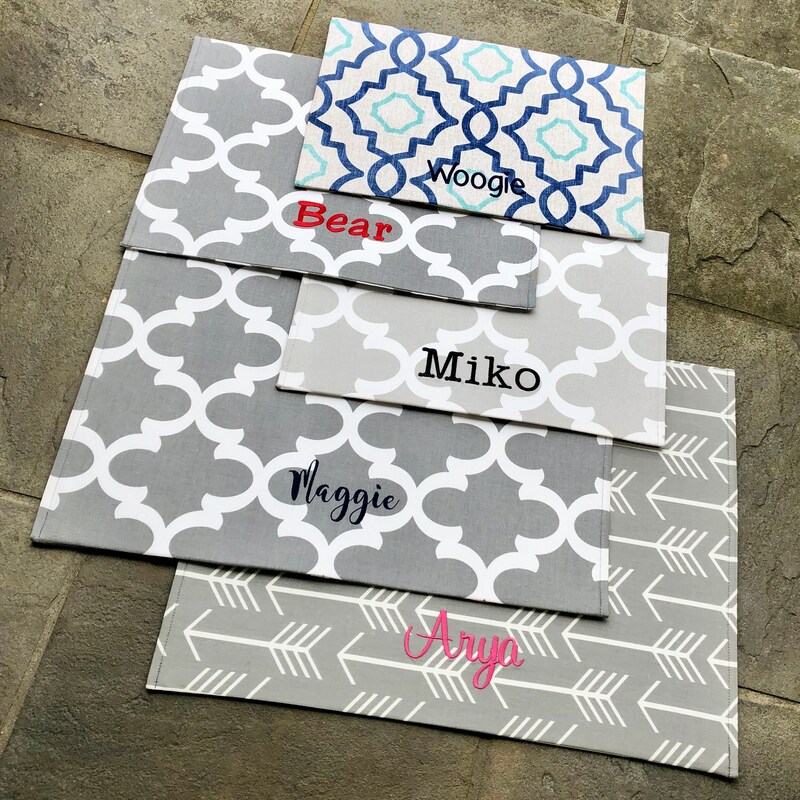 They are terrific under feeding stations and make a great puppy gift too.